2018 Hours -November 14 - December 23. 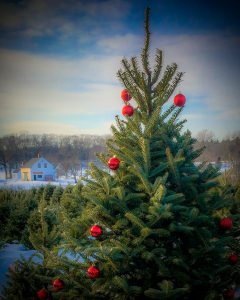 Store, Fields and Fresh Pre-cut Trees: Every Day, 9:30 a.m. - 4:30 p.m. Fields close at 4:00 p.m. CLOSED MONDAYS Wagon Rides, Refreshments, and fire every weekend. Much more than just a tree!